Ruth-Maria Nicolay began her stage career as a lyrical Mezzosoprano after her studies in Saarbrücken and Hamburg under, among others, the tutelage of the highly respected Judith Beckmann. Among her numerous accolades, she was awarded the first prize by the VDMK Sonderpreis Berlin in 1986, the Deutsche Musikwettbewerb Bonn in 1987, the Richard-Strauss-Medaille Munich in 1988 as well the Kol Israel Award for the best interpretation of a contemporary composition in Jerusalem, 1993. In the 94/95 season, after four years at the Hannover State Opera House, she started to develop her career on a freelance level. As a guest she has sung at, among others, the German Opera House Berlin, the Semperoper Dresden, the Hannover State Opera House, the Nürnberg State Theatre, the Mannheim National Theatre, the Mainz State Theatre, the Bonn Opera House, the Bern City Theatre, the German National Theatre Weimar, the Opera House Toulon and the New Israeli Opera House. In September 1999 she gave her first performance in the dramatic Soprano roles of both Sieglinde and Siegfried’s Brünnhilde. Further central roles in this Fach have included Ortrud in Lohengrin, Leonore in Fidelio, Olga in Das Schloss by Aribert Reimann, Kundry in Parsifal, Regan in Reimann’s Lear, Lisa in Tschaikovsky’s Pique Dame as well as Salome. Her concert repertoire is very diverse, ranging from baroque to contemporary music. She has given performances across Europe, Asia and South America. For Harmonia Mundi’s Primavera edition, Ruth-Maria Nicolay was published singing Wagner, Brahms, Ravel and Hindemith. There is also a live recording of her performance of Schubert’s Gretchen-Lieder sang to the lyrics of Goethe’s Faust available on CD. 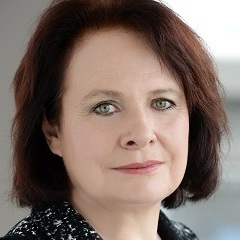 Ruth-Maria Nicolay has worked with, among others, such conductors as: Werner Andreas Albert, Georg Alexander Albrecht, Marc Albrecht, Frank Beermann, Marcus Bosch, Gregor Bühl, Hans Drewanz, Adam Fischer, Johannes Fritzsch, Walter Gugerbauer, Peter Gülke, Leopold Hager, Will Humburg, Eberhard Kloke, Alicja Mounk, Christof Prick, Helmuth Rilling, Donald Runnicles, Catherine Rückwardt, Wolfgang Sawallisch, Stefan Solyom and Günther Wandt. In the 13/14 season, Ruth-Maria Nicolay sang the part of Ortrud in a new production of Lohengrin at the Mainfranken Theater Würzburg, as a guest of the Deutsche Nationaltheater Weimar, the Augsburg Theatre and the Coburg Theatre. In January 2014 she made her debut as Isolde in the new production of Tristan and Isolde at the Darmstadt State Theatre. Most recently she sang the role of Herodias in Salome at the Staatstheater Schwerin.